The Gray’s Lake Park shoreline restoration project was an effort to improve the stability and resilience of 2,000 feet of vulnerable shoreline at the eastern end of this iconic lake and trail system, visited by hundreds of thousands each year. Flooding in 2008 and 2010 had killed existing shoreline vegetation and caused significant erosion. In order to stabilize these areas, native vegetation needed to be established to replace shallow-rooted turf grass and annual weeds, and the area re-graded. 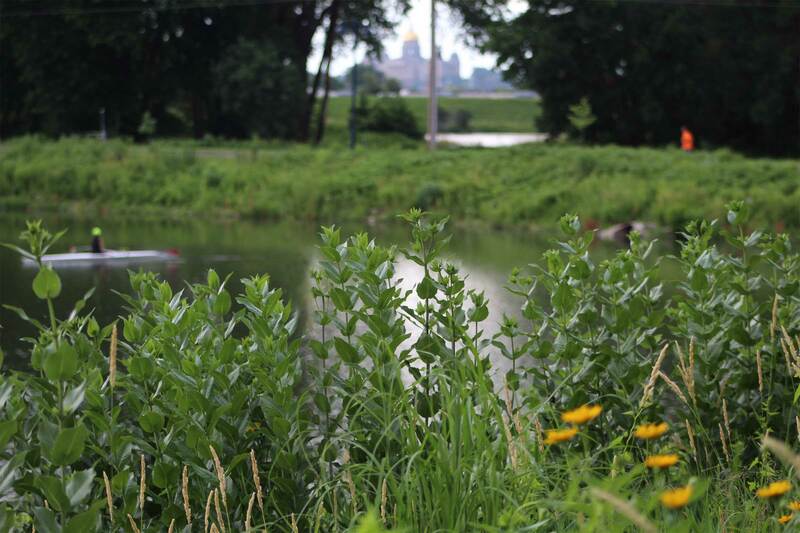 Nilles Associates worked with city departments and gathered input from the public while working on the design. 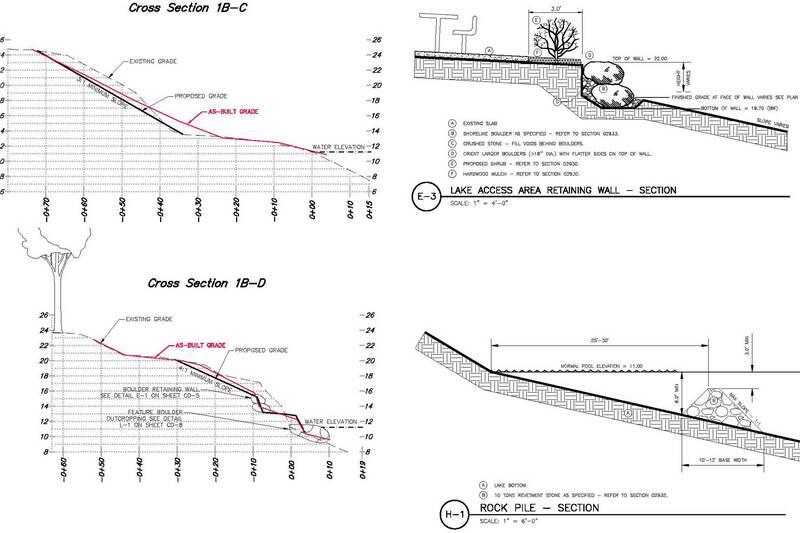 We completed a topographic survey, shoreline assessment, concept plan, construction drawings, as-built drawings, and assisted in the bidding process. 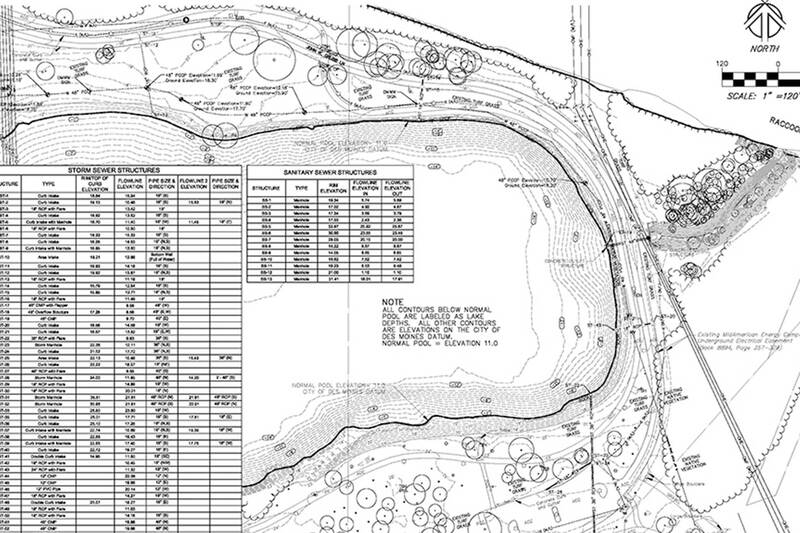 Design features include a bioretention cell, slope grading, native vegetation, seat walls, improved fishing areas, and fish habitat. 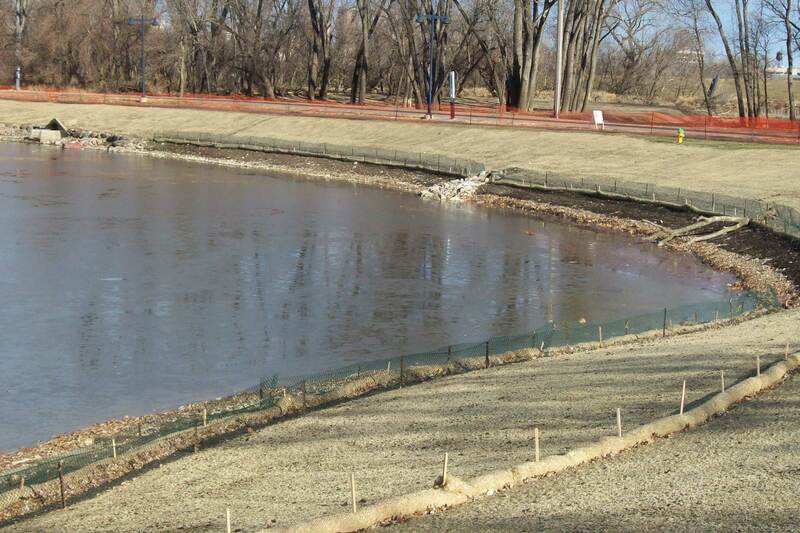 At our suggestion and direction, trees were selectively cleared in an outlet channel from the lake to the Raccoon River, which allowed for replanting to native riparian grasses and opened the view from the Park to the Capital Building.